A surprise guilty plea from Trump’s former campaign chairman shows that Mueller’s high-powered probe has been nearly impossible to resist. Paul Manafort vowed he’d never flip on Donald Trump. After Manafort’s conviction in federal court last month in Virginia, the president declared he had “such respect for a brave man!” because his former campaign chairman hadn’t folded. About three weeks later, Manafort broke. The longtime GOP operative, who pleaded guilty Friday in a Washington D.C. federal courtroom days before he was set to go on trial, is now the third close Trump associate to reverse course and throw himself at the mercy of government prosecutors. The surprise twist provided further evidence of the overwhelming power of special counsel Robert Mueller’s investigation, before which a growing roster of defendants are finding resistance to be futile. While Mueller passed up the opportunity for a public trial that would bring to light more proof of wrongdoing, legal experts say Manafort’s plea agreement contained important new details that continue what has been a public education campaign of sorts by the special counsel. 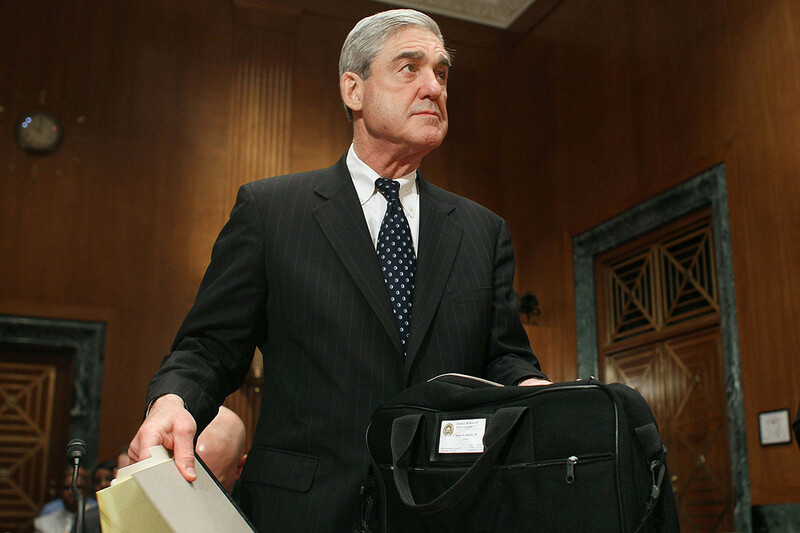 Friday’s legal action also provided a new window into the size and scope of Mueller’s investigation, underscoring the sheer legal firepower at the former FBI director’s command. More than 20 members of the special counsel’s investigation team appeared in the second-floor courtroom Friday morning, where lead prosecutors Andrew Weissmann, Greg Andres and Brandon Van Grack were joined by a phalanx of FBI and IRS agents who did significant grunt work preparing for Manafort’s trial on charges of failing to register as a lobbyist for the government of Ukraine several years ago, before he joined Trump’s 2016 campaign. It was to be Manafort’s second trial at the hands of Mueller, who last month won the former lobbyist-consultant’s conviction on eight felony counts of tax and bank fraud. Mueller has also played a role in convincing two other Trump loyalists, former national security adviser Michael Flynn, and Trump’s former personal lawyer, Michael Cohen, to turn against a president they had previously vowed to protect. In court Friday, Weissmann seemed to relish summarizing the rap sheet against Manafort. The longtime federal prosecutor, who has tried mafia dons and Enron executives, spent more than 30 minutes listing for a judge all the charges that Manafort initially fought but pleaded guilty to, from tampering with witnesses to failing to register his lobbying on behalf of Ukraine’s government during the Obama administration. After he was done, U.S. District Court Judge Amy Berman Jackson joked that Weissmann had just given “probably the longest and most detailed summary” of charges she had heard in a plea hearing. But in the absence of a trial, the presentation served to create a clear if less thorough public record of the wrongdoing Mueller’s team found. The charges to which Manafort pleaded guilty do not involve Trump or his 2016 campaign. But the agreement does require Manafort to cooperate with prosecutors as they continue probing whether the Trump campaign conspired with Russia to win the 2016 presidential election. Manafort chaired Trump’s campaign during several moments central to the special counsel’s probe, including the public release of Democratic emails that U.S. intelligence officials say were hacked by Russians, and an infamous June 2016 Trump Tower meeting with a Russian lawyer offering dirt on Hillary Clinton. Manafort also boasts a longtime relationship to a Russian oligarch close to Russian President Vladimir Putin, Oleg Deripaska, whom he offered to give private campaign briefings during the 2016 campaign. Mueller’s office has said that Manafort’s intermediary to Deripaska, Konstantin Kilimnik, who also served as the lobbyist’s right–hand man in Ukraine, has ties to Russian intelligence. Kilimnik, who is believed to be in Russia, was to be a co-defendant in the trial. He is not known to have spoken to Mueller’s team. The past several weeks revealed the breadth of Mueller’s work in other ways. More than a dozen witnesses during Manafort’s trial in Virginia acknowledged receiving subpoenas from the special counsel, demanding everything from television advertisement scripts to an invoice for a Mercedes Benz. Mueller also demonstrated that he can tap at will into other federal law enforcement branches and their deep bench of experienced investigators when he needs specific kinds of help. One has been Michael Welch, an IRS special agent whose has spent 25 years leading investigations into tax cheats. Two others are FBI forensic accountant Morgan Magionos and Paula Liss, a Treasury Department expert in fraud and money laundering. Both testified in the Virginia trial about how the Mueller team relied on their expertise to sift through millions of dollars in payments from secret foreign bank accounts. Mueller’s thoroughness has upended the defense plans for other Trump loyalists. Lawyers for Flynn had maintained regular contact with the president’s attorneys until late November 2017, just a week before the former Trump national security adviser pleaded guilty and agreed to cooperate with Mueller’s prosecutors rather than face trial for lying to the FBI. Mueller’s investigators also sicced federal prosecutors in New York on Cohen, whose guilty plea last month – on the same day as Manafort’s conviction in Virginia — rocked the president’s inner circle. Even after the FBI raided Cohen’s home, office and hotel room in April, Trump spoke by phone with his longtime fixer, who once said he’d take a bullet for the president. Rudy Giuliani, a personal attorney to Trump, didn’t signal until mid-May that Cohen was no longer representing Trump. Those cases and others are earning Mueller’s team new praise as the latest cooperation agreement sinks in. Barbara McQuade, a former federal prosecutor who attended Manafort’s Virginia trial, credited the Mueller team with securing the guilty plea and Manafort’s cooperation by redrafting their indictment against him to encompass all his misconduct in a single conspiracy against the U.S. charge while dismissing the remaining counts. “This accomplished two goals — requiring him to admit to all of his criminal conduct while at the same time reducing his potential sentencing exposure because of the five-year statutory maximum for that count to provide an incentive to plead guilty,” she said. “In those circumstances, federal criminal law wins almost every time,” he added. “These prosecutors knew that going in and they’ve kept their eyes on that ball.